The Small Grants Programme aims to develop community strategies and technologies for reducing threats to the global environment while addressing livelihood challenges. 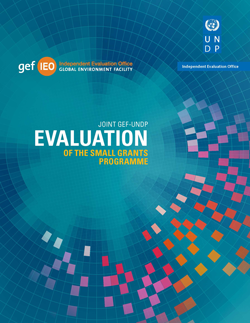 In July 2015 the 2nd Joint GEF-UNDP Evaluation of the SGP was completed. It discusses the SGP’s current role and results in achieving global environmental benefits while addressing livelihoods, poverty, and gender equality; broader adoption of grant-level results; the SGP’s strategic positioning; and M&E. UNDP launched its first global Human Development Report (HDR) in 1990 to raise awareness and generate debate on public issues and concerns. 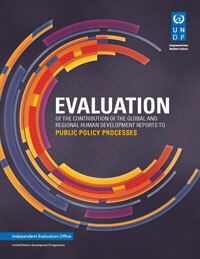 This evaluation was the first such evaluation carried out by IEO to assess the global and regional HDRs’ contributions to public policy processes. In approving the evaluation, the UNDP Executive Board recognized the important contribution of HDRs to public debate and public policy. 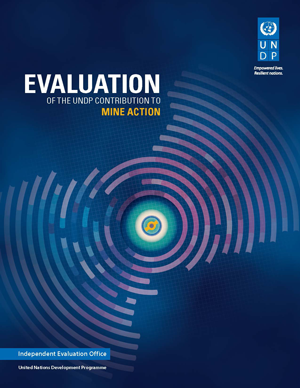 The objectives of the evaluation are to: (i) guide UNDP in refining its intellectual contribution to development though the HDRs, and; (ii) hold UNDP accountable for the use of its human and financial resources in preparing and disseminating the HDRs. At its 2013 second regular session, the UNDP Executive Board requested that IEO carry out a thematic evaluation of the “role of UNDP in supporting national achievement of the Millennium Development Goals (MDGs)”. The Board noted the strategic importance of MDGs and the potential to extract lessons learned for the post-2015 global development agenda. 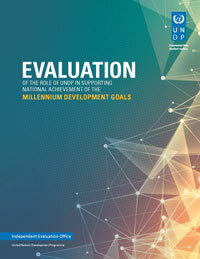 The objectives of the evaluation are to (i) assess the results achieved by UNDP in supporting national achievement of the MDGs (ii) identify the factors that affected UNDP contribution and performance, including: strengths and weaknesses, threats and opportunities, and the decisions, strategies and approaches that worked and did not; and (iii) provide strategic recommendations for fine tuning the institutional strategy of support to the post-2015 agenda.